While it's still no guarantee that the Philippines will be in better hands... however let us get this straight... at least President Nobita won't run for 2016. The idea of "One More Term for PNoy" may end up reversing the good that his parents had fought for. If anything should be amended or corrected from the 1987 Constitution it's the 60/40 policy that started by the way WITH THE LATE FERDINAND MACOY'S ADMINISTRATION. Now why do I think it's good that President Nobita isn't geting another term for 2016? You have to remember that the late Ninoy fought to limit the presidential powers because the late Ferdinand Macoy's administration was really rampant on corruption. To allow President Nobita to another term would be just as risky as to allow that power hungry midget Gloria Abobo (his favorite scapegoat) for charter change. The risks of allowing this incompetent idiot to run another term would mean six more years of stupidity. "How MANY times do I have to tell you... NO MORE TERM EXTENSION?!" 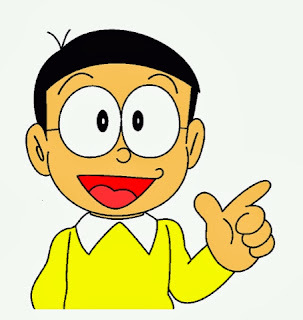 What would another term for President Nobita mean this 2016? You would really get the violation of the provision of limiting the presidential powers. Remember the late Cory though she wasn't made president by the 1987 Constitution, she didn't run again to keep her promises of a six year presidency. For President Nobita to get a second term is tantamount to breaking that law and repeating the same mistakes of the Macoy Administration. Meanwhile, the Philippines is not yet out of the jungle. It must now worry about the Aliens vs. Predator type of Presidential battle between VP Jejemon Bitay vs. DILG Secretary Doraemar Roxas.